Dateline! - Around the World! 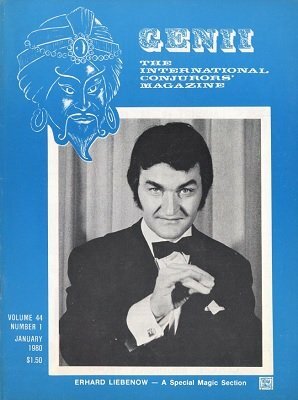 Ron MacMillan's "Eighth" International Day of Magic! The Lecture Notes of Bill Nagler, M.D. Lines, Quips and Ad Libs - Bill Nagler, M.D. M-2-3-4! - Bill Nagler, M.D. Conclusions - To Charge or Not to Charge? Three Card Monte - Camelot Creations, Inc.
A "How To" Book - Merlyn T. Shute - Morrissey Magic, Ltd.
Top Secret - Midwest Magic Co.
Zombie Floating Lightbulb - Theatre Effects, Inc. Illusion Plans - Paul Osborne and Associates Inc.
Troublewit - Morrissey Magic Ltd.
Lovision Playing Cards - Cidco Co.